This page contains a list of resources and tools that are relevant to the clinical use of XR. If you want to add any resources to this list or if you find any outdated information, contact us. Firstly, we would like to acknowledge all the groups of colleagues out there that invest their time into XR communities, associations, and societies with a research or clinical focus. The International Society for Virtual Rehabilitation (ISVR) is a multidisciplinary society for professionals interested in technology applied to physical, psychological, cognitive, and social rehabilitation. 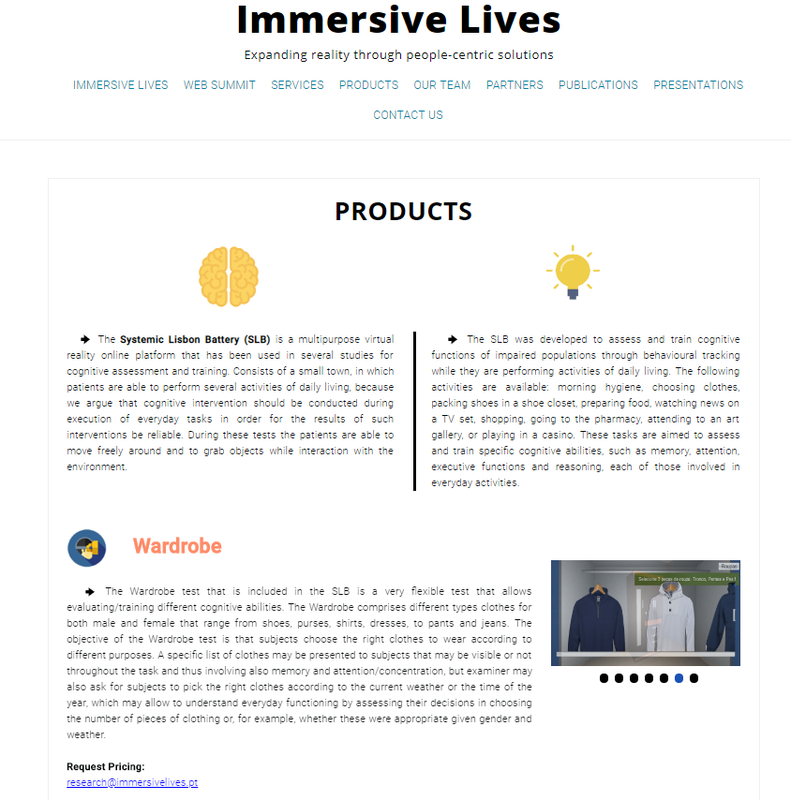 You can find the ISVR website here and Facebook group here. Notable is also the ISVR newsletter that contains a wealth of information around clinical XR. 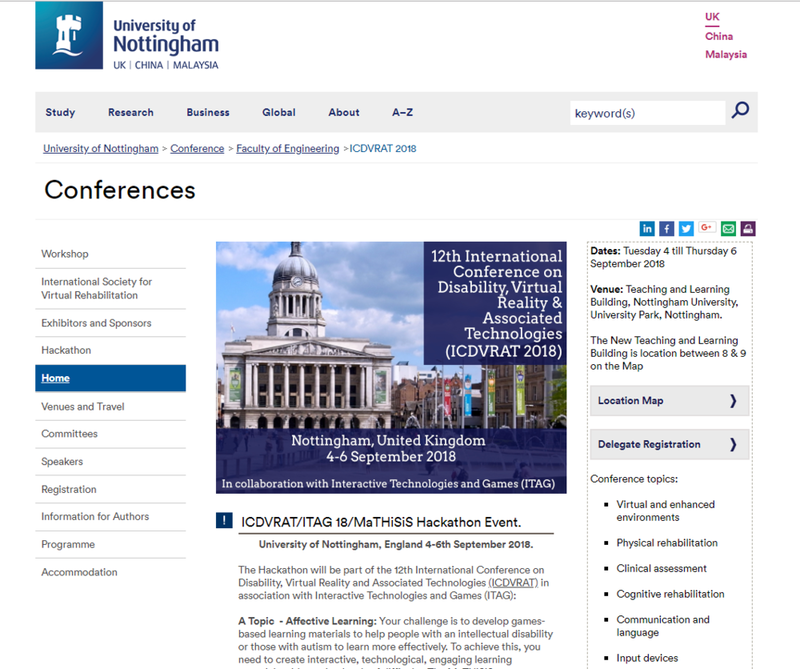 There are two biennial conferences associated with ISVR: ICVR and ICDVRAT. You can also find these conferences on our event calendar. 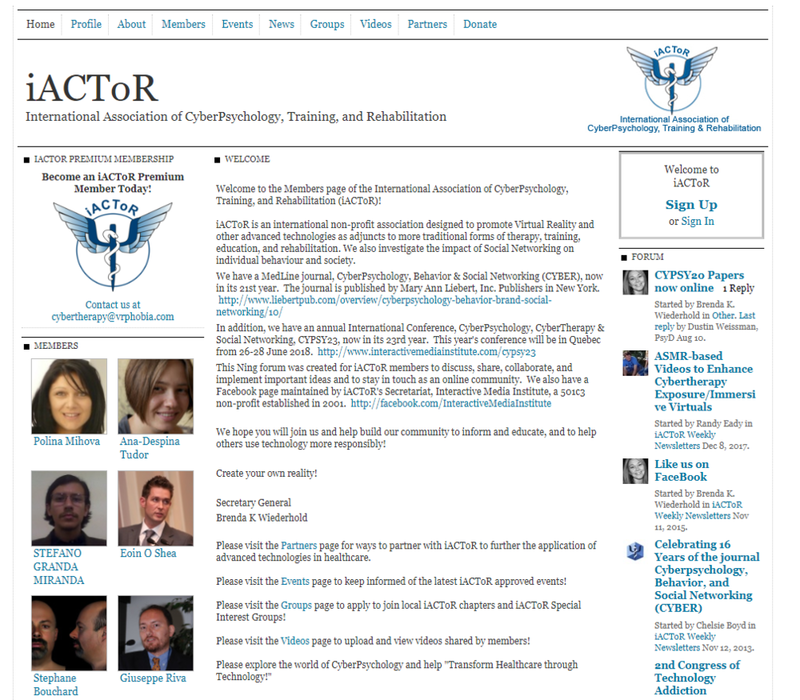 The International Association of CyberPsychology, Training, and Rehabilitation (iACToR) is an international not-for-profit association promoting Virtual Reality and related technologies as an adjunct to therapy and rehabilitation. iACToR also publishes a journal CyberPsychology, Behavior & Social Networking and holds an annual conference, the International Conference, CyberPsychology, CyberTherapy & Social Networking. The association's Facebook page can be found here. IEEEVR is part of the Institute of Electrical and Electronics Engineers (IEEE) and hosts an annual conference targeting Virtual Reality and 3D User Interfaces. While the primary topic is not focused on clinical applications, you will always find attendees, projects, and like-minded individuals related to VR clinical research or applications. You can find the IEEEVR conference page here and a Facebook page here. The Virtual World Society (VWS) aims to leverage the power of Virtual Worlds for social and environmental good. It was founded by Tom Furness and supports various projects, prizes, and competitions to encourage our community to apply XR to have a positive impact on our society. The VWS website can be found here. The VR/AR Association is an industry association aimed at fostering collaboration in the VR/AR ecosystem. There are many local chapters and subcommittees of various topics, healthcare being the most relevant for this particular community. Find the Healthcare subcommittee website here, the VRARA newsletter here, and the Everything VR & AR podcast here. The VRARA also organizes an annual summit and expo, the VRAR Global Summit. 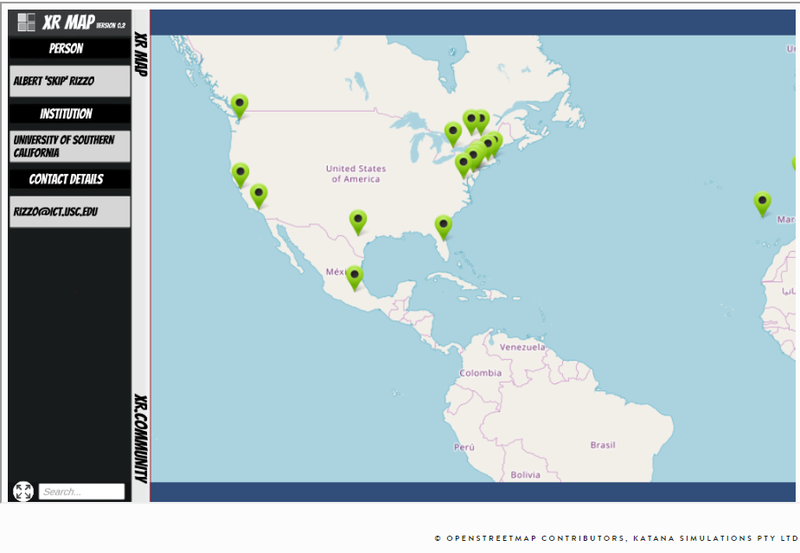 Firstly, I'd like to encourage you to visit our XR Map and look at the various companies, institutions, and labs around the world conducting XR research. Where available, we provided contact details and websites so you can inform yourself about the research happening in our community. Be advised that the XR Map is only supported on desktop browsers - use on some mobile devices might be possible, but is likely to be slow and cumbersome. We hope that these pointers to the many talented individuals in our community help to spark some ideas, enable collaborations, and allow you to find like-minded people close-by. Next, we will list a number of websites and YouTube channels that contain resources, project information and interesting XR videos. Let us know whether these are useful or whether any important websites are missing in this list. Skip Rizzo's YouTube channel provides an excellent source for the various clinical XR projects happening at USC's Institute for Creative Technologies. Videos cover overviews of prototypes, demos, news/media coverage of Skip's work, and some of the talks and presentations that Skip gives around the world. Our very own YouTube channel, VirtualRealities.school, currently focuses on XR development, 3D characters, and general simulation development tutorials. We will certainly add clinical content to this channel in the future. 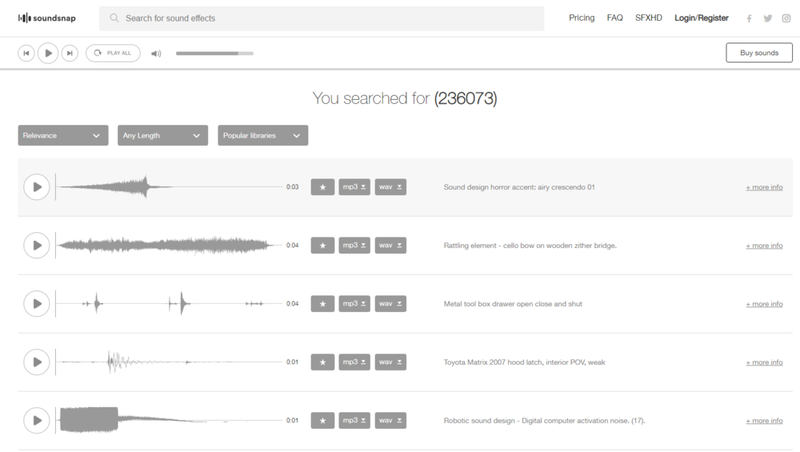 To our knowledge, there are no podcasts that specifically address clinical XR or clinical VR/AR research. Instead, most podcasts target the XR industry as a whole, industry events, hardware/software releases and in some cases XR research which sometimes is of clinical nature and oftentimes more technical. One of the most relevant podcasts is surely Voices of VR by Kent Bye. Kent interviews the most influential people in the XR community and reports on many industry events and trends around the globe. He places a strong focus on XR research and has many XR academics on his show. Make sure to stop by Kent's website and follow his podcast releases. Everything VR & AR is the podcast of the VR/AR Association. Nathan Pettyjohn and Kevin Harvell co-host the podcast and cover many events and trends in the XR community. The ResearchVR Podcast is hosted by scientists Az Balabanian and Petr Legkov and discusses many XR research topics, including clinical XR applications and neuroscience topics. The VRScout Podcast, hosted by Malia Probst, is keeping up-to-date with the latest and greatest in the XR industry, including panel discussions, expos, and events. There are several episodes (e.g. episodes 65 & 96) that cover clinical XR. This section lists some of the available clinical XR applications. We do not endorse any specific application and are happy to list any relevant application here. Please consider available scientific evidence and always be mindful of patient safety before using XR applications in a clinical context. Open Rehab Initiative is an effort of the Rivers Lab, Neurorehabilitation & Brain Research Lab, and NeuroRehabLab to make clinical XR applications and various prototypes available to clinicians for free. Any research lab or publisher of clinical XR applications can join the initiative and publish their applications. See all available applications here. Immersive Lives under the leadership of our adviser Pedro Gamito has published the Systemic Lisbon Battery (SLB), a comprehensive set of cognitive and psychiatric assessments and trainings. SLB has undergone extensive clinical validation in various target populations - see the SLB's website for more details and references. NeuroCog Trials has published the VRFCAT, a functional cognitive assessment that has primarily been validated in patients with schizophrenia. The assessment includes kitchen tasks, taking a bus to a grocery store, shopping, and using money. Six alternate versions allow for test-retest situations in clinical trials. VRFCAT is a non-immersive application that does not require any specific XR hardware. Nature Treks VR (Steam / Oculus) has been available for many years and can now be experienced in VR. It is a series of beautiful environments that include animals, weather, gorgeous visual effects and user interactions, all of which can contribute to a relaxing or inspiring experience. It does not specifically encourage meditation, but it rather is an immersive landscape and playground that allows the user to relax, meditate, play, spectate, or just enjoy a VR scene. Guided Meditation VR (Steam / Oculus) is a beautiful application that specifically targets meditation practice by supporting a variety of meditation styles and guidance for your meditation experience. You can also just spectate or float through the various environments or enjoy music.